The City of Pérouges, France, 30 km (19 miles) from Lyon. 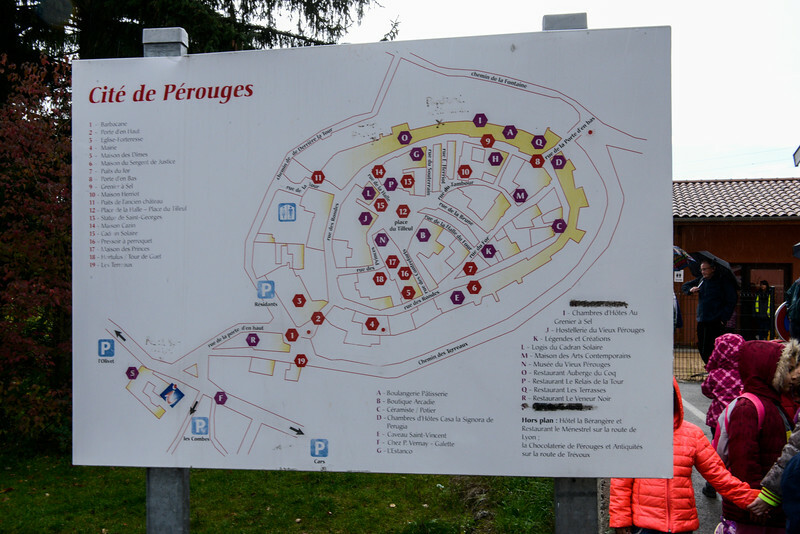 Pérouges was a walled medieval town inhabited by craftsmen; mainly linen weavers. Tourist vehicles are prohibited from entering within the wall.